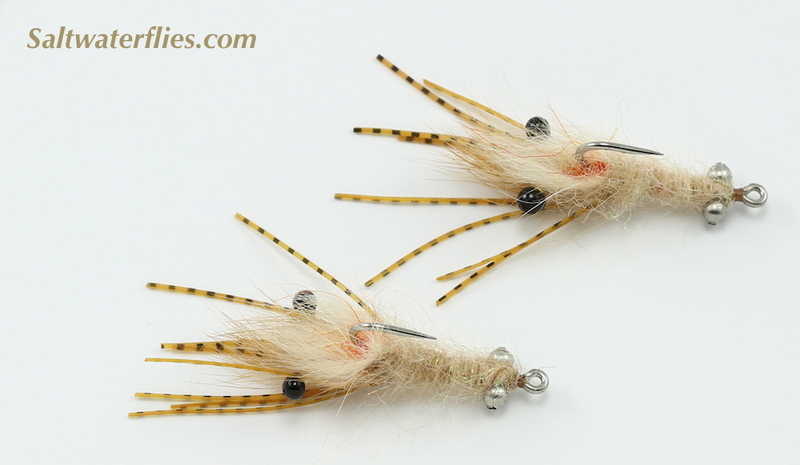 These #4 Fur Face Bonefish Shrimp flies are just a bit under two inches long (about 4.5 cm), and tied on the classic Mustad 34007 #4 hook. 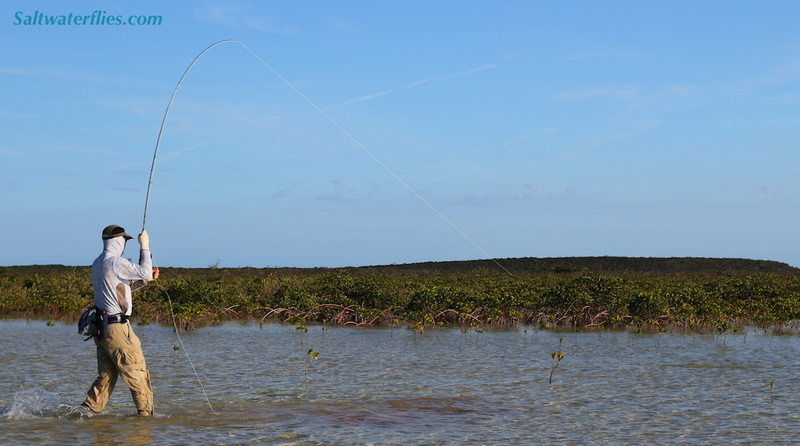 A great fly for bonefish in the Bahamas as well as many other locations worldwide. Tied in the USA. 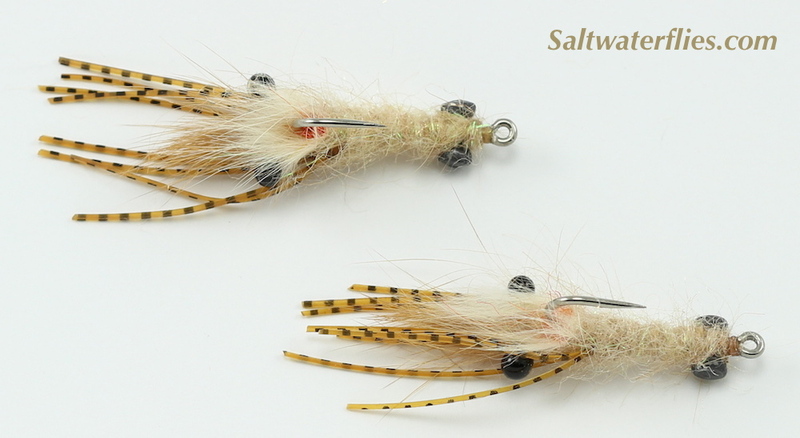 Similar patterns include Veverka's Mantis Shrimp, and the Evo Mantis.